Happy Friday! We made it through another week, time to enjoy the weekend. It is going to be another busy weekend around here as I am teaching two cycle classes, attending a wedding, celebrating Mothers Day and starting to pack. 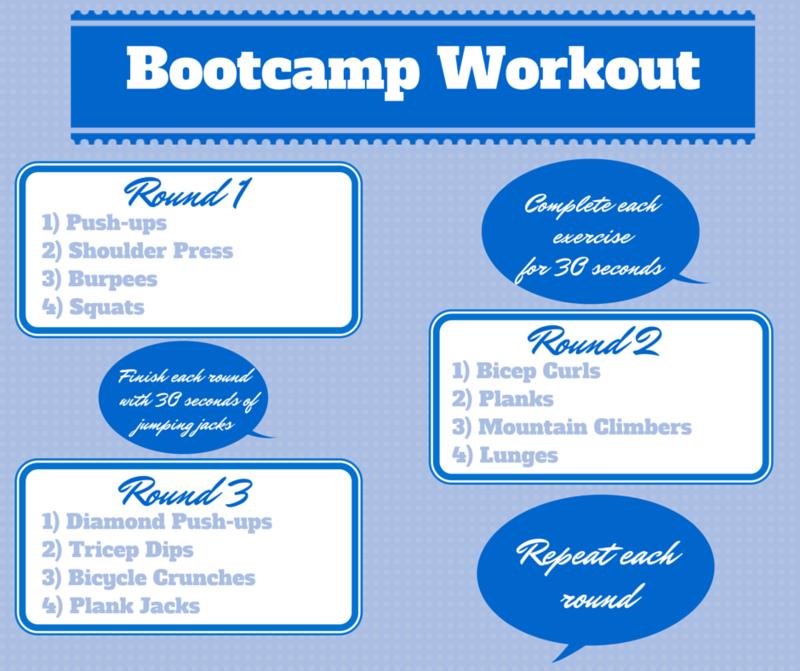 Before we get into the weekend, I want to share a boot camp workout with you to try this weekend. All you need is a set of weights, a mat and enough space around you. Enjoy the workout and your weekend! This entry was posted in Bootcamp, Fitness, Health, Workout and tagged Bootcamp, Fitness, Health, Workout. Bookmark the permalink.